Marking 100 years since his death, Donald Macleod explores the life and work of Hubert Parry, today focusing on Parry’s connection with the long-running Three Choirs Festival. 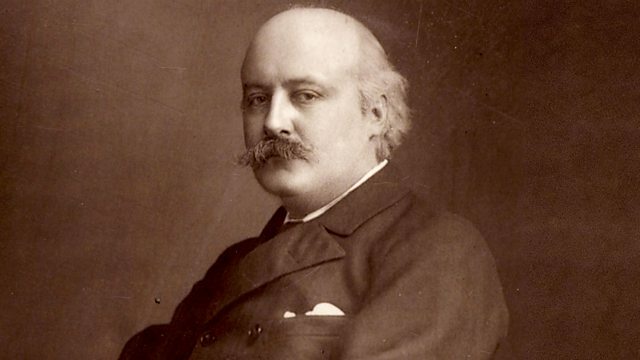 Marking 100 years since his death, Donald Macleod explores the life and work of Hubert Parry, today focusing on Parry’s connection with the long-running Three Choirs Festival. Parry’s father, Thomas Gambier Parry, was energetic and generous in his efforts to ensure the Festival’s survival, and the Three Choirs was to prove an important platform for his son’s music. Judith - Oratorio - "Long Since in Egypt's Plenteous Land"
Performer: Bournemouth Symphony Orchestra. Choir: Winchester Cathedral Choir. Choir: Waynflete Singers. Conductor: David Hill. Performer: Daniel Cook. Choir: Choir of Westminster Abbey. Conductor: James OʼDonnell. Singer: Della Jones. Singer: David Wilson‐Johnson. Orchestra: London Philharmonic Orchestra. Choir: London Philharmonic Choir. Conductor: Matthias Bamert. Conductor: Richard Cooke. Orchestra: London Philharmonic Orchestra. Conductor: Matthias Bamert.